BankPipe is an advanced and automated payments manager powered by Omnipay. You can create subscriptions with a wide range of custom options or monetize attachments singularly by setting their prices. BankPipe's core functionalities are powered by Omnipay, a multi-gateway payments processing library. At the current stages, BankPipe only accepts PayPal payments, but a substantial expansion of supported gateways is planned for the near future, including Stripe and BitPay. - discount: a percentage-based discount if an user has already bought a lowered-priced subscription. One of BankPipe's flagships is its ability to handle single-item purchases by hijacking into MyBB's core attachments system. Each attachment can be monetized singularly by simply setting a price. For this to work, BankPipe allows certain usergroups to enter their own PayPal email address in their User Control Panel settings and start to earn from their own attachments. You can control paid attachments download permissions either by usergroup or by forum. When attachments are updated, they inherit the payments' informations. If the name of the attachment differs, MyBB typically uploads a new attachment; to update a paid item with a differently-named attachment, check the "Update" radio button while uploading a new attachment: the old one will be deleted and the new one will inherit the old one's paid informations. 2) a merchant set in the User control panel, under My items > PayPal email. Promo codes are an exclusive feature of BankPipe. You can set up promo codes with various options, including type (percentage or absolute value), expiry date, permissions to use codes by user, usergroup and/or item and whether the code is "stackable" with other promo codes or not. Stackable codes can be added alongside other codes, whereas non-stackable codes are meant to be used singularly. Promo codes entered by the user are temporarily stored in the user's browser as cookies, until the purchase is cleared successfully or codes are removed manually. Cart mode lets you add multiple attachments into the cart and purchase them at a later date all together. It also allows you to apply promo codes, which are otherwise limited to subscriptions. The cart stores items in the user's browser as cookies. You can set an unlimited amount of notifications sent either through PM or email to users whom subscriptions are about to expire or are already expired. This functionality uses MyBB's internal tasks system to automatically process expiring subscriptions and deliver notifications. You can also specify multiple BCC recipients to deliver expiry notifications. Refunds can be issued by administrators from BankPipe's Payments history panel. 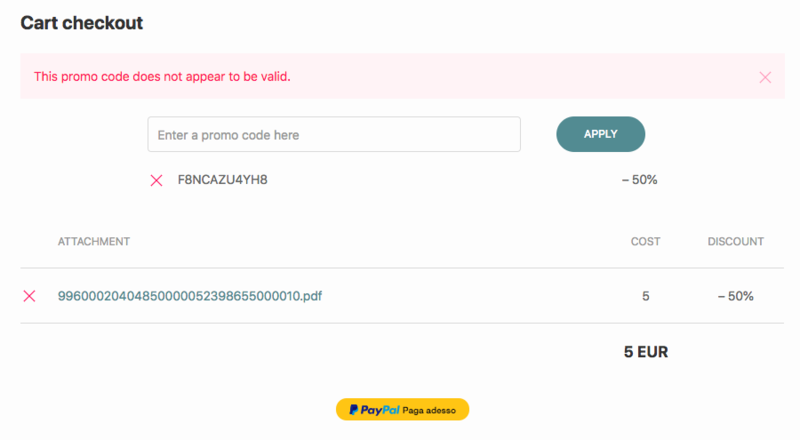 Only payments with a valid sale ID can be refunded. You can choose how much you want to refund. A refunded subscription is treated the same way as an expired one. From beta 6 onwards, BankPipe is able to listen actively to responses generated by gateways upon performing any action on their behalf. This is particularly useful for those payments marked as "pending" due to incompatible currencies, a situation which might occur with PayPal. Pending payments are handled automatically when the merchant approves (or declines) them from PayPal's control panel. This feature opens up the possibility to add recurring payments in a future update. A subscribing tool is available for administrators willing to process payments manually, for example to migrate from another payments management plugin. You can set the subscription's starting and expiring date, alongside the target and expiry usergroup. Users can be selected one by one using an autocomplete field or you can choose one or more usergroups from which to get them. BankPipe logs every internal action and displays the logs in a convenient fashion within the Admin Control Panel. Logs are stored separately from the actual payments and can be deleted safely if you desire. BankPipe also stores a complete log of paid item downloads. This feature lets you filter out those who might benefit from a refund and those who do not, depending on your own internal policy. You can set up required fields to be filled right before a purchase; to do so, add a coma-separated list of field name(s) you want to be filled in the correct BankPipe's setting, then head over your bankpipe_subscriptions*, bankpipe_cart* and/or postbit templates and add the field(s)' HTML wherever you want them to appear; they will be sent along the necessary data to purchase items, and they will be validated as requirements. You can add any HTML form input you can imagine. Selects, radios, textboxes and textareas are fine as long as you reference them with the correct "name" attribute. If you do not use cart mode and you want to add a required field for subscriptions, it will be required also for single attachments, so you will need to alter postbit/showthread templates and add the required field somewhere. I'd suggest to add it in postbit_attachments template and use template conditionals to show it only if paid items are shown. If you encounter issues configuring providers or setting up BankPipe, feel free to open a support thread here on MyBBoost. Since I study a pretty hard university, I don't have much spare time to dedicate to support questions, but I will always provide the support you need as soon as possible. I usually reply within a day. Despite a different UI, BankPipe is running smoothly here on MyBBoost. If you are purchasing BankPipe, you are also experiencing its functionalities. An Ultimate subscription is required to download BankPipe (click here to subscribe). Alternatively, you can perform a single purchase by adding the item to your cart and checkout at a later date. Purchases are instant and have a lifetime duration. Before updating the package, ensure you have a backup of your existing files and database. To update, download and overwrite the old files with the new ones, open your Admin Control Panel and run the upgrade script when asked. Running the upgrade script is mandatory as some functionalities depend on database changes performed during the update. The beta testing phase continues. I shall remember that everyone – even those who haven't yet access to BankPipe – can request new functionalities which are evaluated and eventually added in future updates. Coupon system with ability to set an expiry date for discounts and much more with fine-grain tuning. Requested by Harry K.
Paid download logs. Requested by Harry K.
This release changes some templates and adds some. A patch file is available below; you can view the differences between beta 2 and beta 3 by using an online tool, or your preferred git manager. The beta testing phase continues. Please check BankPipe development for updates on planned functionalities and bugfixes and keep on reporting bugs and issues and to request functionalities. This is a hotfix release following Harry K.'s helpful testing. This release changes 1 template. A patch file is available below; you can view the differences between beta 3 and beta 4 by using an online tool, or your preferred git manager. I am proud to announce that the sixth beta of BankPipe is now available. This version mainly features a code rewrite from the ground up. This release is marked as beta 6 despite beta 5 has never been officially released; the leap is meant to cover the few who have tested beta 5 privately. A huge effort has been put into refactoring the whole codebase to comply with an OOP structure. This allows for greater maintainability and flexibility towards third party plugins willing to use BankPipe's functionalities. PayPal Express Checkout, which powered all previous betas, has been replaced by Omnipay, a multi-gateway payments processor library. Although PayPal remains the only supported gateway, this change allows for new gateways to be added in future updates, such as Stripe (credit cards) and BitPay (cryptocurrencies). Webhooks are now supported, which means BankPipe can automatically process payments marked as pending by PayPal for whatever reason. Once the merchant accepts or declines pending payments, the buyer is automatically granted access to the resource of interest. Logs and payment details have been refactored with a more intuitive and informations-rich interface. Logs are grouped by order rather than being sparse, while payments now list the status, date of purchase, fee and other useful informations. Manually subscribed users are now listed in the payments section and marked as such in every single payment details page. This feature was suggested here: show manually subscribed users in payment history. Hooks have been added in strategic places throughout the whole codebase to give third party plugins easy access to BankPipe's functionalities. Refer to BankPipe documentation to see the available hooks with their exact names, files, lines and arguments available. run the upgrade script when asked in the ACP. This release changes all templates and adds 1 new. A patch file is available below; you can view the differences between beta 4 and beta 6 by using an online tool, or your preferred git manager. The beta testing phase continues. Please check BankPipe development for updates on planned functionalities and bugfixes and keep on reporting bugs and issues and requesting functionalities.